A chilly rain bounced off the tarmac as former Fort Bragg Gen. Dan McNeill watched an honor guard unload his brother's flag-draped coffin from a 737. Inside the terminal at Raleigh-Durham International Airport, a mad rush of travelers - among them college students heading home for Thanksgiving - pressed up to the concourse windows to pay their solemn respects to an airman who died long before many of them were born. Outside on the tarmac, an Air Force color guard stood steadfastly by, and members of the Patriot Guard Riders motorcycle club formed their traditional flag line, somehow managing to keep the votive candles they held lit despite the drizzle. Passengers on the plane paid their respects, as well, exiting only after the coffin had been carried away. Even for a man long accustomed to military protocol, the scene moved McNeill, former commander of Fort Bragg and the 18th Airborne Corps. 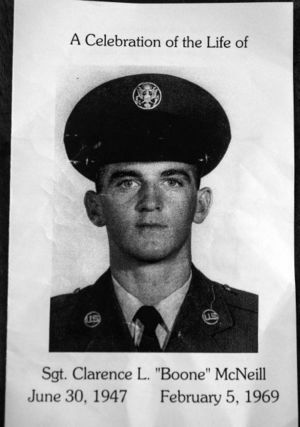 Dan McNeill had graduated from N.C. State's Army ROTC program and was in his second week of parachute school at Fort Benning, Georgia, when the word came in February 1969. An EC-47 surveillance plane carrying his brother, Air Force Airman Clarence "Boone'' McNeill, and nine other crewmen had been shot down in Laos in Southeast Asia. 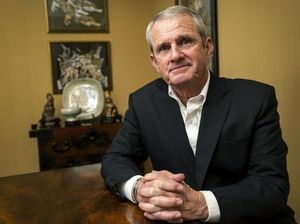 Boone, who had enlisted in the Air Force in 1966 after a stint at East Carolina University, worked as a cryptologic linguist, someone who could understand the Vietnamese language and help with intelligence missions. He was assigned to the 6994th Security Squadron at Pleiku Air Base in Vietnam when he and his crew mates set off on a surveillance mission along the Ho Chi Minh Trail. Their plane was shot down in the jungle. Boone was 22 years old. For months, he and his nine crew mates were categorized as missing in action. "We kept expecting that Boone would walk out of that jungle,'' McNeill said. But when the crash site was located in the fall of 1969, an analysis of the bones convinced Air Force officials that the entire crew had been killed in action. A granite headstone was engraved with 10 names, and the remains were buried together at Jefferson Barracks National Cemetery in Missouri. The McNeill family was tasked with moving on. And they did. As much as was possible. For McNeill, the news of his brother's death was a pivotal moment. Certainly, there were other such moments in a distinguished military career that included being tapped as a four-star general in 2004. But no doubt, his brother's death and his mother's grace were deeply affecting. Dan and Clarence McNeill, born just a week shy of a year apart, were so close in age and looked so much alike that people often thought they were twins. A friend of the family took to calling one Daniel Boone and the other Clarence Boone. Eventually, Boone was the name that stuck with the younger brother. Dan and his siblings, including another brother, Walker, and a sister, Sally, enjoyed an idyllic childhood spent hunting and fishing and playing sports in the small farming town of Warsaw in Duplin County. "We didn't always understand it at the time,'' Dan McNeill said. "But everything we wanted would fit inside a draftsman's compass circle around that town on a map. "When we got older, no matter where we were, we were always looking forward to coming home. The McNeill’s are a close-knit family. Despite time and tragedy, that closeness has endured. Coming back home to Warsaw has always been a blessing. It would take nearly 46 years to bring that blessing full circle for Boone McNeill. 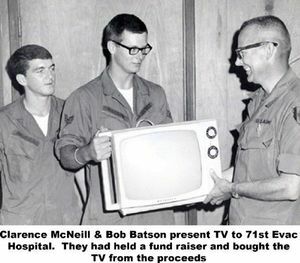 In June 1969, Boone McNeill was posthumously promoted to sergeant and awarded the Purple Heart. In 1987, an auditorium at Misawa Air Base in Japan was named in his memory. But his biggest honor came Nov. 28, 2014, the day after Thanksgiving. 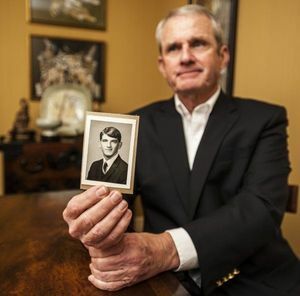 With the backing of all 10 families of the crash victims, the Air Force in the summer of 2013 exhumed their remains from Jefferson Barracks and sent them for contemporary DNA analysis. Substantial amounts of remains of seven of the 10 crew members were positively identified. Boone McNeill was one of them. The McNeill family made a decision. Boone McNeill would be brought home to Warsaw, the small town they all so loved. Every year, the relatives make it back to McNeill Road and to the McNeill Brothers farm for Thanks- giving. This year, 65 turned out for the annual feast. "An American Thanksgiving of the first order,'' McNeill said. The next day, Dan McNeill and his wife, Maureen, along with their son Dan Jr., daughter-in-law Sarah and granddaughter Paige, joined a large gathering of friends and family at Devotional Gardens Cemetery to lay Sgt. Clarence "Boone'' McNeill to rest with full military honors. Dan McNeill knew that the day after Thanksgiving is traditionally a holiday for servicemen. So he called Mark Slocum, wing commander for Seymour Johnson Air Force Base. He wanted Slocum to let his men know why they were working on a holiday and how much he appreciated them giving up their day off. So it was that on Nov. 28, four F-15s took to the sky in a V shape over the tiny North Carolina town of Warsaw. One of the jets broke off to the side, leaving the others in the traditional missing man formation. Sgt. Clarence "Boone'' McNeill, buried just a few feet from his parents, was home for good.